During our 30+ year history, OCS Consulting has established a number of partnerships with organisations including; CDISC, SAS Institute, Boemska Ltd, BP Logix, TIW Group, Microsoft, Alphabet Resourcing and VersionOne. An overview of each of our partnerships is below. They work to these values in our everyday activities to enhance the way CDISC operates, acting altruistically to contribute to the advancement of global healthcare. OCS Consulting has been a CDISC member for many years and has reached the CDISC Gold Member status. We are working with CDISC standards on a daily basis and we have multiple consultants with experience in standards like SDTM, ADaM, SEND, and Define-XML. 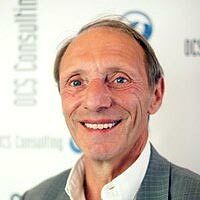 SAS Institute, a leading supplier of Business Analytics software, has engaged with OCS Consulting for the implementation of SAS Solutions within the Netherlands. The partnership emphasises OCS' comprehensive knowledge of specific solutions offered by SAS. "Many small and medium size businesses and research institutions quickly turn to SAS Software in an effort to comply with regulatory requirements and to join a de facto industry standard for data analysis and reporting"
In response to the growing demand from Corporate and SME customers for Microsoft technology services, OCS Consulting has made significant investment in staff, skills and facilities to enable the provision of a full range of IT services from desktop support to the development and support of complex Web and Smart Client business applications. OCS was first accredited as a Microsoft Partner in 2000 and went on to achieve a range of Microsoft accreditations. 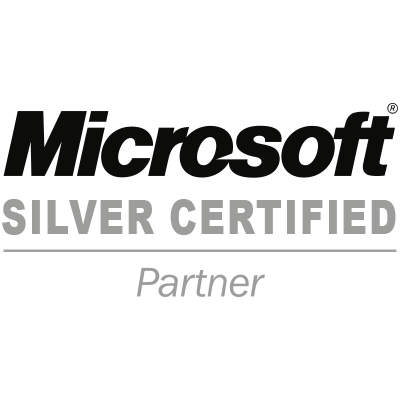 More recently OCS has been awarded Microsoft's Silver Partner accreditations. The achievement of becoming a recognised Microsoft Partner is extremely important for OCS and is evidence of our commitment to providing our customers with high quality Microsoft technology based services and solutions. OCS has partnered with BP Logix to provide a formidable solution for its customers in the UK and Benelux. In addition to servicing its own customers, OCS is working closely with BP Logix EMEA to open a new markets in the region. BP Logix is a privately held company headquartered in Vista, California. 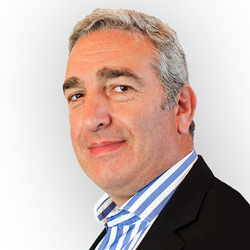 Founded in 1995, the company has been at the forefront of innovation in the Business Process Management (BPM) field. BP Logix is the first software company to fully incorporate the dimension of time into business process management. The company's flagship product Process Director, provides the infrastructure and process intelligence business users need to automate and improve business processes - without programming. Its patent-pending Process Timeline TM technology enables business users to anticipate the impact of changing conditions. The solution predicts potential problems in recurring business processes and adjusts those processes accordingly. As a result, the business is able to avoid delays and eliminate missed deadlines. Mentoring - Proficiency with any tool requires experience so it's natural for new users to have questions concerning the best approach. OCS can provide mentoring which includes both OCS' experience and that of existing customers world-wide. OCS Consulting and Boemska Ltd have recently signed a partnership which will enable expanded services within the SAS software market. Boemska Ltd is a technology company specialising in the development and implementation of software products designed to enhance and extend the SAS Business Intelligence Platform; Enterprise Session Monitor for SAS and HTML5 Data Adaptor for SAS. Enterprise Session Monitor for SAS™ has been designed and built from the ground up for the purpose of monitoring the SAS BI platform. It meters individual server-side processes for processor, memory and disk space usage, and lets users contrast the performance of their sessions against the overall performance of the server they are executing on – all via an intuitive, user-friendly web-based interface. With Boemska's HTML5 Data Adapter for SAS, Web Developers and SAS teams can collaborate to build powerful, sophisticated HTML5 Applications with unprecedented speed and agility. Easily build modern, capable Apps - that run just as happily on your phone or tablet as they do on your desktop, using back-end data services constructed entirely by your SAS data managers and deployed to your existing, secure and approved SAS Enterprise BI Platform. "We at OCS are delighted to partner Boemska Ltd with the implementation of their leading edge SAS AF legacy modernisation and SAS performance monitoring products. These products align perfectly with OCS' commitment to SAS technology and our extensive legacy technology and managed service offerings"
OCS Consulting has recently become a VersionOne partner. As the process of providing solutions into fast-paced environments becomes more challenging, it is becoming more important to focus on the near-sighted objectives and to increase efficiency. Scrum allows you to do this whilst providing greater clarity on projects, their status and producing a high quality end product. VersionOne is a tool that allows for remote and local collaboration of scrum activities helping you easily plan and track your agile software projects, releases and iterations within a drag-and-drop format and using familiar spreadsheet and whiteboard-style user interfaces. VersionOne allows for traditional Scrum, Kanban and DevOps management approaches with an all in one approach to tracking epics, stories, themes, defects, tasks, tests and issues. VersionOne also gives you visibility across multiple teams, projects and portfolios. If you are looking for a way to better manage your existing scrum deliverables or are looking to transition, know that OCS has certified scrum masters who, in partnership with VersionOne, can help you improve project delivery. ​OCS and TIW Group sign Strategic Alliance OCS and TIW Group are pleased to announce the signing of a strategic partnership designed to be able to deliver complete business and technology solutions for London Market Insurance Brokers and Underwriters. From Business Process through to a complete range of IT software and service solutions, the joint strengths of the two companies can provide a seamless integrated service. David Edwards CEO of TIW Group and Maurice Aroesti Group Chief Executive of OCS commented "This is a significant development for TIW Group and OCS which will enable organisations operating in the London Market to come to a one stop shop for their business and IT needs". OCS Consulting are an IT services company providing a full range of services to its customers. Established in 1984 OCS have been delivering quality solutions for over 25 years and have been working successfully with many companies in the London and General Insurance markets. A local staff based organisation OCS deliver a broad range of tailored IT services to their customers including Consultancy, Project Development, Resourcing and Application and Infrastructure based support. The TIW Group is a leading supplier of Insurance Services. Its personnel are drawn from a wide range of Insurance and Reinsurance disciplines backed by their own leading edge technology. TIW Group's highly skilled project led approach to problem resolution is now fully supported by the technical expertise of OCS, which together now has the breadth of skills to tackle the real issues facing insurance organisations today and tomorrow. Alphabet and OCS have had a partnership for the last 10 years and continues to find the best Insurance solutions for its clients. Alphabet's expertise lies with deploying deep insurance knowledge and technical skills by providing highly skilled and professionally trained staff to Brokers, Underwriters, Intermediaries, IT companies and Lawyers to support their business objectives, direction and vision. Alphabet are experts in IRIS and have consultants with over 20 years' experience developing, implementing and configuring this leading London Market underwriting application.